Fill out the information below and an Ignite team member will be in contact shortly. Ignite staff will greet you at Puerto Vallarta Airport (PVR). Check-in to your boutique accommodations and settle in. Enjoy cocktails at sunset on the beach while hearing the inspirational story of our San Pancho community partner. Then a leisurely stroll to a top-rated restaurant with delicious, locally-sourced cuisine. After breakfast we embark on a guided walking tour through San Pancho ending up at the amazing facility of EntreAmigos, our community partner. 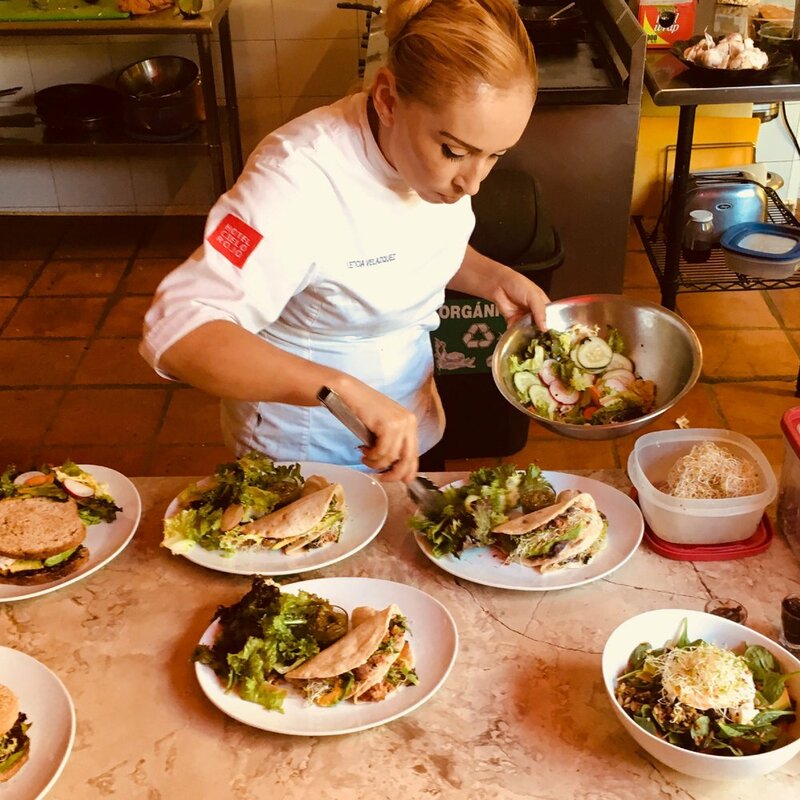 Enjoy a ceviche lunch with their team leaders and then spend the afternoon engaging with youth or women involved in their high-impact programs. The evening will include a fun kids night while the adults indulge in a tequila tasting before a chef-curated farm-to-table dinner. Enjoy optional activities like beach yoga or a beach run, or simply take this time to explore San Pancho a bit on your own. Spend the morning at Entreamigos for further engagement with the women entrepreneurs and do a bit of shopping at the gallery, where they sell their artisan crafts. 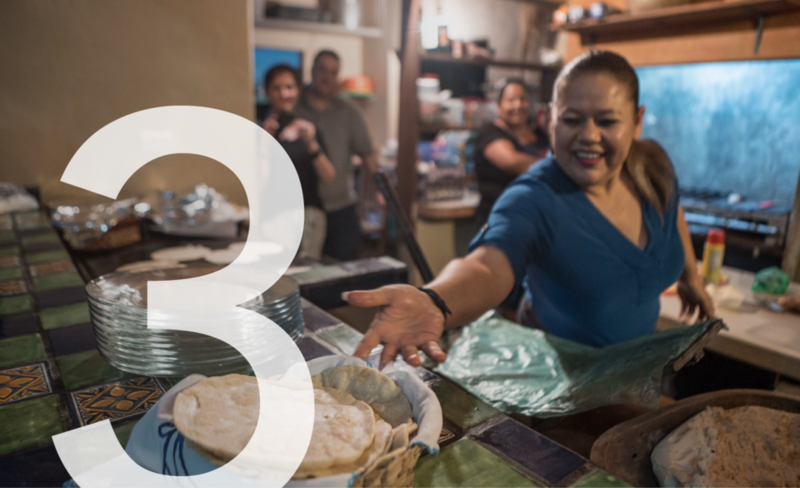 Return to the hotel to relax and prepare for one of the best nights of the trip - cook and share dinner in the home of San Pancho's former mayor and his charismatic wife, Eva! Extend your evening with optional late night drinks and live music at a street front cafe. Enjoy some free time in the morning, take a sunrise swim or beach walk. The group will have one final breakfast together where you can reflect on the brief but inspirational journey. Ignite staff will facilitate your transportation to the Puerto Vallarta Airport (PVR) in time to catch your flight home. Book your round trip flights to Puerto Vallarta, Mexico (PVR) to arrive Thursday no later than 2:30pm and depart on Sunday (1:30pm or later) based on your specific trip dates. Feel free to contact Dominyka for sample flight itineraries or recommended routes. Considering arriving early or extending your trip? Contact Dominyka and we'll share some great suggestions with you.